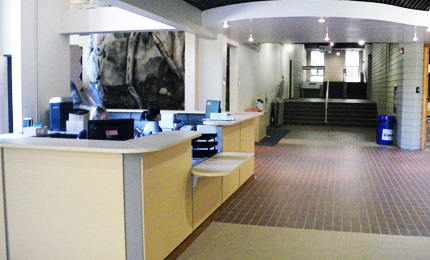 See the Guest Services desk for information on accessibility, services and programming. Many of the areas in and around the John Janzen Nature Centre are wheelchair accessible. Many of the areas in and around the John Janzen Nature Centre are accessible by stroller. We have a family washroom near the front door and also a small stroller parking area by the front desk. Snack and beverage vending machines are available on-site, as well as an ATM for cash withdrawals. From Spring through Fall, outdoor green spaces and picnic tables are available around the John Janzen Nature Centre for a quick snack or lunch for individuals and groups. Our spaces are first-come, first-served. We also have a small, seated indoor eating area for visiting parents and children, available year-round. Please help keep our facility and river valley trails clean, and our local wildlife healthy by using indoor/outdoor garbage and recycling bins to dispose of any waste or empty containers.